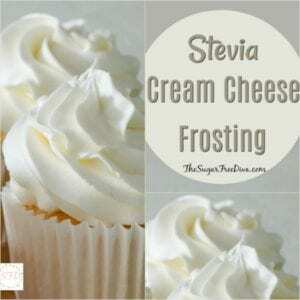 This Stevia Cream Cheese Frosting recipe has been hugely popular. Since first posting this recipe a while back, it has become one of my top visited. Stevia is one of the most powerful sweetener choices around. If you have read my Sugar Free Baking Guide, then you already know that Stevia is the one sugar alternative both a high intensity sweetener and also natural. As a result it is a popular choice for many of us. However, because Stevia is a high intensity sweetener, less of it is needed than other sweeteners to achieve the same level of sweetness. This means that to use Stevia in many recipes, you will need less of it to make it sweet. As a result, many manufacturers will add other ingredients to the Stevia to make it a volume equivalent to sugar. While this is not a big deal in this recipe, it could affect other recipes especially those that are baked. 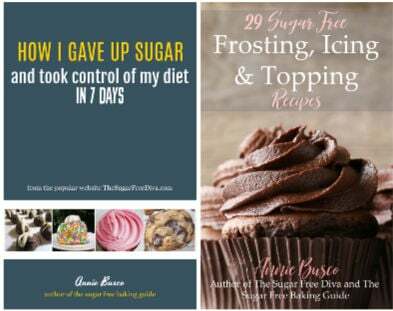 As I have mentioned, you can read more about this in my Sugar Free Baking Guide. Stevia is a natural sweetener which is one huge reason why it is popular. It is available in both liquid and dry forms. I prefer to use the dry Stevia in a recipe such as this one because it is easier to control the amount that is used. Also, when choosing your product, please read the label to assure that it is not packed with other ingredients such as sugar. 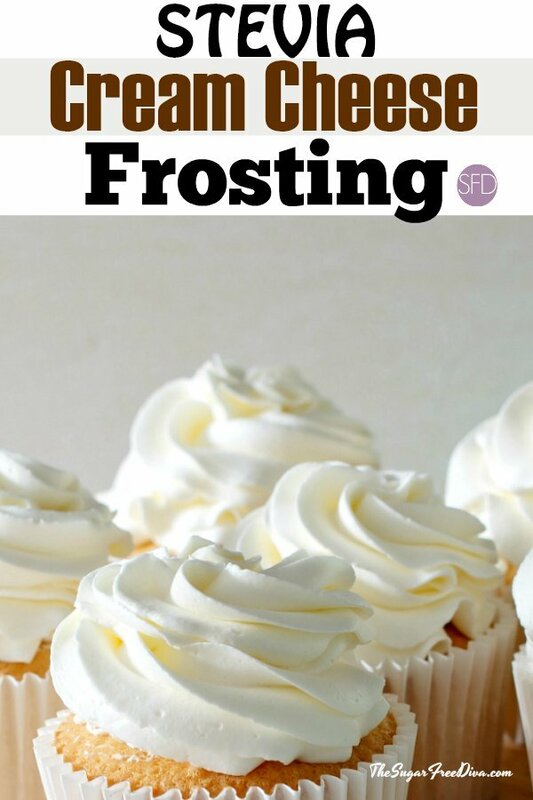 I also have other frosting recipes that you may be interested in as well..
Sugar Free Chocolate Buttercream Frosting. 5 Ingredient Sugar Free Cream Cheese Frosting. Cream cheese frosting is a popular frosting to make. Probably the most popular cake to frost with a cream cheese based frosting would be carrot cake such as this sugar free one. However, a cream cheese frosting can be used for many other cakes and cupcakes as well. This recipe was originally made using Greek Yogurt. However, you are welcome to use a different dairy such as milk. Hence, there are many ways to alter the taste of this. Butter- 1/4 cup softened to room temperature. Greek Yogurt, Milk, Buttercream or similar dairy- 1-2 tablespoons. Stevia – Granular pure Stevia is preferred. We will start at 1 tsp and add additional as needed . Vanilla Extract- 1 tsp- (this is optional if your yogurt is flavored. In a mixing bowl or by hand, cream together your cream cheese and butter. Switch to a whisk or a whisk attachment on your mixer. Then add 1 tablespoon of your dairy (Greek Yogurt or alternative). Next, add 1 teaspoon of the Stevia and 1 teaspoon of vanilla extract. Whip the frosting for about a minute on medium. Test the frosting for sweetness. If additional Stevia is needed, add only a small amount as this will go a long way. Also, if the frosting appears to be too thick for your needs, you can add an additional dairy (no more than a tablespoon at a time).If you are looking for a thicker frosting and this becomes difficult to whip, you can switch from the whisk to a paddle. Greek Yogurt Milk, Buttercream or similar dairy- 1-2 tablespoons. Stevia - Granular pure Stevia is preferred. We will start at 1 tsp and add additional as needed . Please see post for detail including ingredients. I really want to try this one, we love cream cheese frosting on spice cake and red velvet cake. Is the stevia in this recipe powdered or liquid? Hi- it is for the powdered. thanks!! Hi- It really depends upon the consistency of the yogurt that you are adding and the consistency needed for what you will be using it for. I would start out with 6 ounces and if you need more volume for what you are using it for, add another ounce etc. Thanks! Are you using liquid stevia here? Can I assume the cupcakes/cake will need to be kept in the refrigerator ? I certainly would if they have a cream cheese frosting on them. thanks! 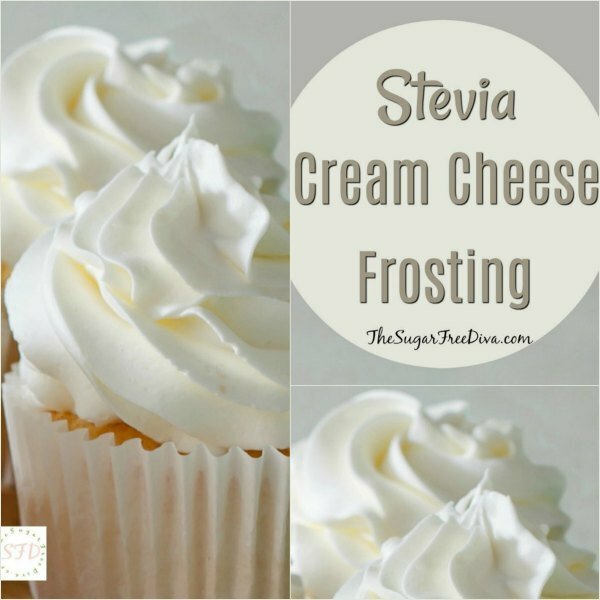 What brand of powdered stevia do you use for this cream cheese frosting. I know that different brand are sweeter than others. Thanks for the recipe! Truvia and Stevia are not the same at all. Using one teaspoon of Stevia is like as much as 64 tablespoons’ worth of sugar (4 cups), for sweetness. Since there are many brands and concentrations of sweeteners containing stevia, it would help to clarify specifically what you use, right in the recipe. Thanks. Thanks for you comment. I actually have a handy post that shows how to measure sugar alternatives. 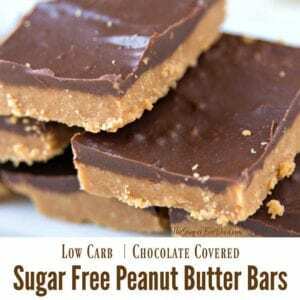 There is a free printable that will help measure sugar alternatives. thanks! Floavored yogurt usually has a lot of sugar which might be defeating the purpose of making a sugar free frosting. Check your labels. While I agree with you about the flavored yogurt thing- there are some out there that do not have that. It’s just a matter of finding it sugar free where you live. I have a few options where I live but, certainly not all stores by me. OMG!! I just made this! You are a life saver!! The Greek Yogurt turned out great in this. One tweak that I made was to soften out the cream cheese before adding the other ingredients. That is worth trying out. Thanks for the suggestion! I made this the first time with just the Greek Yogurt. The second time I went 50/50 Greek Yogurt and sour cream. This is about the closes we can get to tasting the real thing without all of the real sugar. Next time I will try the flavored yogurt idea. I agree that using Stevia is pretty darn close. Thanks for the feedback! Can this be frozen? I want to put on cake but know some pieces will go in the freezer for later. I have not tried freezing this. What I do know is that if you were going to freeze the regular cream cheese frosting. it is recommended that you freeze it separate from the cake/cupcakes and then defrost it when you are ready to use it. Not sugar free if one of your ingredients is yogurt, sorry. Yogurt is loaded with sugar. hi – can this frosting be used for sugar cookies? Hi. I would use it sparingly and/or a larger cookie since this is a heavier frosting. Try one of my icing recipes instead.. Thanks! To make chocolate cm cheese frosting how much cocoa powder would I need? Hi. That’s a good question. I will include a recipe for this in the future. However, at this time what I would suggest trying would be to add a tablespoon of cocoa to the frosting and adjusting the cocoa and the yogurt as you go until you reach your intended consistency and chocolate flavoring. I do have these similar recipes if this idea has confused you-https://thesugarfreediva.com/sugar-free-chocolate-buttercream-frosting/ and https://thesugarfreediva.com/sugar-free-cocoa-icing-with-greek-yogurt/ Thanks!! How many carbs would this have per serving? Hi. Go here to get nutritional information. thanks! 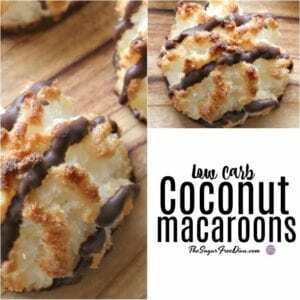 Thank you so much for posting these AWESOME SUGAR FREE RECIPES!!! Most people use common sense and know to read labels and plain Greek Yogurt is just that, plain. Your answers are very good and non-judgemental. I am still working on that one! I have found that no matter what, some people will find fault in everything. There are some very good whip toppings out there that are organic and not made with oil like say Cool Whip is. 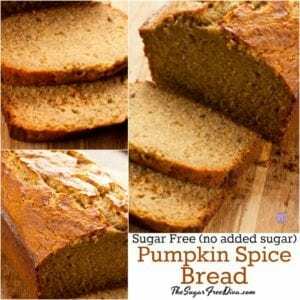 LOVE the SUGAR-FREE RECIPES so please keep them comping. Have a BLESSED DAY! You have totally made my day 🙂 Thank you for your kindness. I will pass it on. Looks awesome! I’m a bit confused over the Greek Yogurt, the ingredients state 1-2 Tablespoons, but in the comments you talk about getting a container 6-8 oz, and the sugar content from a tub of yogurt. Why would any of that matter if you are only adding 1-2 Tbl of Greek yogurt. Hi. That does sound confusing. However, I will try to clarify. This recipe was updated recently. The original recipe stated that you could use a flavored yogurt instead of the Greek yogurt if you wanted to add a bit of flavor. You can still do this however, the amounts of ingredients needed in the recipe have been updated and thus, you should use 1-2 tablespoons of either yogurt in this updated version of the recipe. This update is meant to make it easier to use this recipe, without leftover, in a normal sized batter. Thank you for pointing this out to me! Good afternoon: Just would like to know, what happens if I use powdered sugar ???? for the Cream Cheese Frosting. Hi. I do have other recipes for frosting that incorporate a ‘sugar free powdered sugar’. This Sugar Free Buttercream Frosting, 4 Ingredient Sugar Free Frosting, and 5 Ingredient Sugar Free Cream Cheese Frosting. Thank you! Hi, how well does this icing pipe and hold its shape? I’m wanting to make a reduced sugar cake, along with the icing. Thanks!!! Hi. I think that it depends on the temperature and softness of the fats that you use (butter and cream cheese). I have been pretty lucky with this recipe so far. thanks!